Hookahs are a traditional tobacco smoking pipe that include a bowl on top that holds the tobacco. Charcoal is then placed over the bowl and when you inhale through one of the attached tubes the smoke is pulled through the body and filtered through water to provide a smooth flavorful hit. Hookahs have become extremely popular at social gatherings where it allows people to gather, try new flavors and catch up. Retro Active proudly offers beautiful hand blown hookahs from two of the largest names in the industry; Sahara Smoke and Mya Saray. 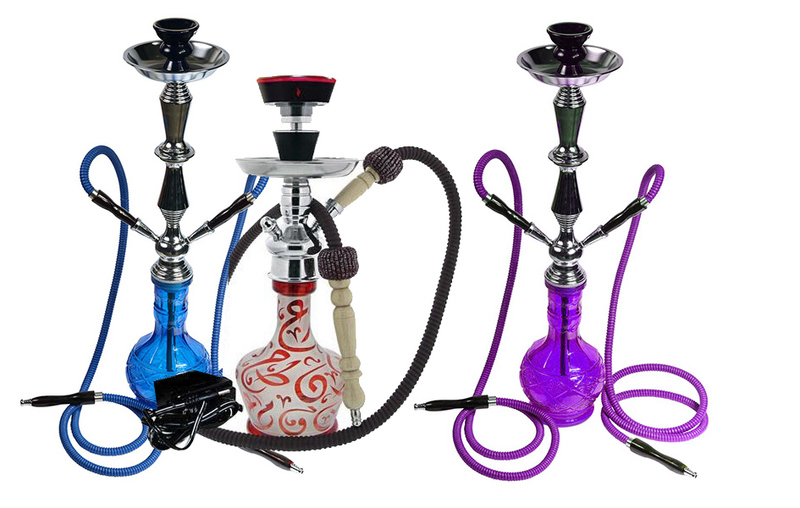 Shop our wide selection of hookahs now!